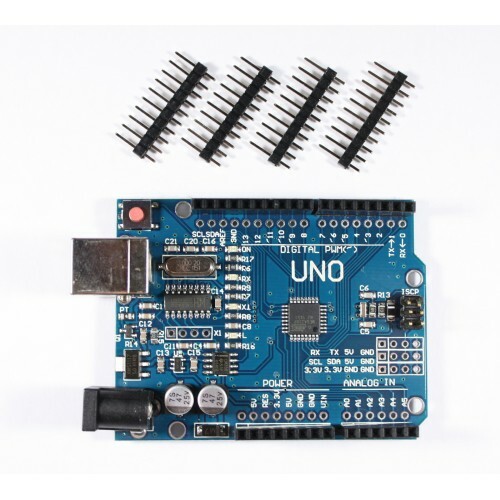 Buy online Arduino UNO SMD R3 Module at Low cost in India. The SMD Arduino Uno R3 module is a cheap alternative to the Arduino Uno Boards. 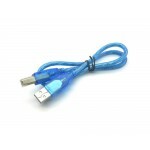 It is equipped with an ATMEL AVR ATmega328P micro-controller and a low cost ch340 USB IC for cost reduction. The specifications are equal to Arduino Uno R3. The board is shipped with the shown pin headers. Please note that this board has a CH340 USB IC and a SMD Atmega382 Microcontroller. The CH340 IC is recognised on Linux without any additional drivers. Mac OS and Windows users may need to install an additional driver. Arduino Uno R3Arduino Uno is one of the most commonly used hardware in the Arduino series. 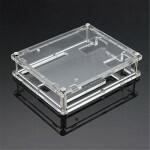 It ..
Arduino UNO R3 Acrylic CaseThis is a Transparent Acrylic Case Shell Enclosure Gloss Box For Arduino ..
USB A to USB B Cable for Arduino UNO/MEGAThis is a low cost 1 foot USB A Male to USB B Male cable wh..